Next year, expect sales of anti-depressants to skyrocket, as comic fans the world over come to grips with the fact director Christopher Nolan's Batman movie run ends in 2012. 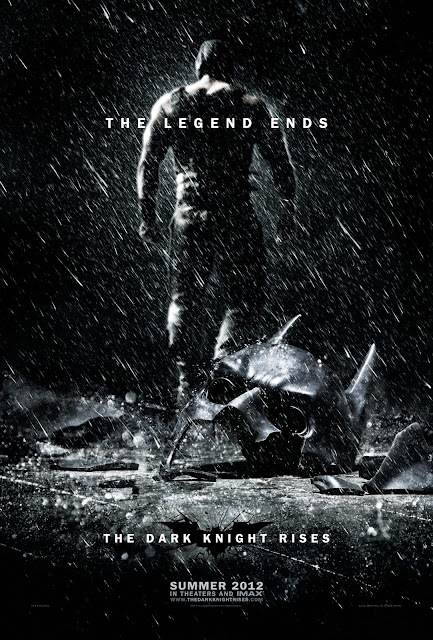 Today Warner Bros reminded fans once again of the upcoming darkness, with this official teaser poster. With Marvel's Spider-Man re-entering theatres the same year, it seems a pretty tongue-in-cheek swipe at the opposition, putting a Nolan/Bat spin, on the most infamous of Spider-Man comic moments from Amazing Spider-Man #50. 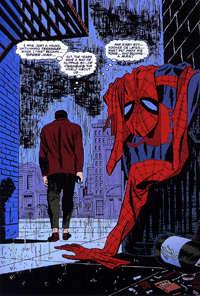 While the Spidey splash page shows Peter Parker walking away from his own alter-ego, Bane walking away from the crushed Bat-mask shows a victor or maybe a man who tried to follow in Batman's footsteps and ended up stepping further into the darkness? What are your thoughts?